If it sounds too good to be true, it almost is! One more almost-too-good-to-be-true fact: ebooks often sell for the same price that a traditional, hold-it-in-your-hand, book would sell for! Anyway, all this got me to thinking, what about ebooks? Yeah, sure, you can read Charles Dickens on a computer, but I'm talking about ebooks that teach, in a nonfiction sort of way. If I could put a few good ebooks on the web, then maybe people who wanted to learn about a topic could read an entire book from a reputable source online. This book was born well after all of that, but I think it's high time I share my experience. There's plenty of room on the Internet for everyone. Climb aboard! If you're smart enough to read this book, you're smart enough to look around you and determine what interests you and those around you. Think of what problems you've recently solved, and what kinds of problems others have had and solved. Any problem that has been solved in your world could easily be the subject of your next book. People love to read how other have solved a problem that they currently have. So, brainstorm a list of problems in your life and in the lives of those around you. Your friend Bob lost his job? Your sister's child had chicken pox? How did they cope or find solutions? While you're at it, start another list of unsolved problems evident in your corner of the world. Write down problems you wish you had solved. Aha! These are subjects that people will really be interested in! How to lose the last ten pounds. The truth about UFOs. The straightest path to becoming a millionaire. From your personal corner, your step-granddaughter is pregnant at age 14? Your grocery bill is double what it used to be? Your roof leaks? These are problems waiting for ebook solutions! These unsolved problems would also be great ebook topics. Remember, you don't have to know the solution, just the topic. You're going to get someone else to do the research and write the book for you. You will not actually be writing one word. The Internet is a great way to find out what people are looking for at any given moment. You can search for almost anything. Google™ is a popular search engine you can use, or you can try any of the others like Yahoo!® or Mamma.com. Type in phrases like "top concerns of Americans," "best-selling nonfiction topics," or "popular how-to manuals." Common worries of 2005. And that quick visit only confirmed that the straightest route to ebook profits is in the nonfiction ebook market. This is for a number of reasons. Fiction readers tend to like to curl up in a chair with an actual book. Some of them attend book clubs where the physical books are brought around someone's kitchen table with wine and cheese. Fiction readers tend to purchase from authors they're already familiar with. Fiction can be more difficult to write and deliver well. Also, many of the classics in fiction are available as free ebooks. A reader interested in fiction could just download those. So stick with nonfiction unless you're feeling particularly bold and experimental. There are groups of people who are willing to buy nonfiction ebooks: hobbyists. At any given time, these people are looking for ways to spend their money on their hobbies. Their passion is your financial gain. What avid hobbyists want will always make great ebook material. Note that I did not say what hobbyists need. You may have certain opinions on what exactly certain people should need or should read. But those are not necessarily good topics for immediate ebook profit. Those topics may be areas for you to dabble in at your leisure. However, if you want to make money at this, find out what niche groups want, and hit those groups with your ebook. On the games screen, game subcategories are listed followed by numbers. The numbers indicate how many discussion forums are available for that subcategory. These numbers reveal a lot. Notice how "role playing games," and "video & computer games" have factors of ten or in some cases factors of 100 more forums than other subcategories. "Wargaming" and "paintball" don’t even come close, although those categories are much more discussion-laden than "horseshoe pitching." When you read and/or participate, you'll find out what this group is buying. All you have to do is skim to find out what questions they are asking each other about products or traveling or information. What they are interested in buying is a key piece of information because passionate consumers love to research before they buy. This is an immediate ebook market. Create a book on how to select the best this or that on the market, related to the current wants of the enthusiasts. How-to books for hobbyists are a good way to go, and this overlaps with the discussion above. A hobby how-to ebook could be anything from how to build a home from hay bales to how to play Texas Hold 'Em to how to understand Shakespeare. One book publisher knows how hungry we are for how-to information, and has created a whole series of "Dummies" books around the market. Further, there are other similar book series', and all of them are doing quite well! "The Everything" series, "Idiot's Guide" series and others are all cashing in on the how-to phenomenon. Ebooks, because of their brevity and because they are marketed primarily on the Internet can target smaller audiences. You don’t have to write a universal book like How to use a computer (which may not be interesting enough to sell anyway in this decade). Ebooks can cover more specific territory. Knowing this, you can 1) create your ebook in a specific way for a specific niche readership, and 2) create additional ebooks for different facets of the same subject, and sell each one separately! Say you've decided to write an ebook on fishing. (FYI, this is one of those hobbies where enthusiasts are willing to spend money!). You could create "How to Catch Freshwater Trout," "How to Tie Your Own Flies," or "How to Plan a Successful Deep Sea Fishing Trip." Almost anything related to the hobby can become a separate ebook depending on how much detail you include. Clearly, "How to put on waders," probably wouldn't be a great choice (though some would say it's impossible to underestimate today's consumer), because you would have to strain to fill up 60 to 100 pages on such a simple topic. You get the idea. The topic would need to be, in most cases, book worthy. Use good judgment. · "How to ensure your child gets an A+ in math"
· "How to have a successful garage sale"
· "How to organize your home office"
Perhaps sixteen year old girls don't want to look younger, but from that point on, and for most of the population in Western society, looking young is a common desire. Everybody wants to find the fountain of youth, whether it be in a pill bottle, a special diet, surgery, or an ebook. An ebook about staying or appearing young in the face of growing old will have a solid future. Here are some title ideas, and I'm sure you can come up with a truckload more. · "Drop ten years and ten pounds in ten days"
· "How to look 28 forever"
· "100 ways to look younger"
· "Grocery store products that will help you look younger"
· "Look 30 again without surgery"
· "How to live to be 100"
This topic is red hot. Botox, surgery, chemical peels, lasers, diets, acupuncture, electronic pulses, mega vitamins, prescription teas, thigh cream, and teeth whiteners are being purchased by baby boomers, the elderly, and even women as young as 20 ! No one wants to look a day older than they have to. Health is a concern to anyone who is growing old or ill or faced illness with a loved one or wants more energy or, basically, everybody. Health ebooks are a good investment for you to make. And doctors don't have to be the authors. Anyone with any credentials, or no crendetials at all, can write books on health. Just be sure you don't claim to be a doctor if you're not one. Here are some health topics you can hit at this moment in time and be almost guaranteed immediate interest, readership, and sales! Disease prevention and cure. As our baby boomer population ages, most will be afflicted with heart disease, cancer, diabetes, dementia, or some other malady. Give these people some hope. Create an ebook on how to cope, how to find the best practitioners, how to avoid disease triggers, or cures American doctors are unaware of. Natural remedies. People are curious about alternatives to standard medicine, and are anxious to try herbal, natural, or holistic treatments. Create a book on any disease that covers alternative cures. For example, "How to Treat Lymphoma Naturally." Or, you could just address natural supplements in general, "The best natural remedies for common ailments," or "Holistic health." Diet. What we eat is always a hot topic. There are literally dozens if not hundreds of diet fads currently out there. Pick any one of them for an ebook. Then there's obesity, general health, and also diet supplements like vitamins. Think "How to equip your kitchen for macrobiotic dieting." Or, "Eat to cure cancer." Never has so much travel been available to so many. People today want to get in touch with the people they love. They want to experience different parts of the world. See exotic things. Be entertained. Also, because, especially in America, adults sometimes work well more than 40 hours a week, people need really good vacations. They're doing their research to make sure that they will really enjoy their precious few weeks off each year. Here are some topics for you: how to trade frequent flyer miles, how to keep airport security off your back, how to travel on a dime and get change, and how to keep your children happy on long car trips. Beyond the how-to's, there is plenty of room for books like, the best amusement parks for your money, top 100 campgrounds, things you must see and do in Utah before you die, and free things to do when visiting Washington, D.C.
Get the idea? The good thing about creating travel ebooks is that you may already know a lot about a place that other people may be interested in visiting. Makes it easy! · "How to feed your family on less than $40 a week"
· "How to get free stuff"
· "How to pay almost no taxes"
· "How to buy a retirement home for no money down"
· "How to be richer than your parents"
· "How to buy cars at auction"
· "How to start a financial management business"
In these days, although fewer and fewer are attending churches, more and more are flocking to purchase self-help books. Self-help books are leaping off shelves at brick and mortar bookstores. People want to feel that if they read a self-help book, they have all the power to change their lives. Whether or not this is true is moot. Changing your life, soul searching, and helping thyself, are all great ebook topics. Identity theft prevention. Especially because ebooks are marketed on the Internet, this is a great topic. This is because people who purchase over the Internet are concerned that their credit card numbers will not be seen by others or misused in any way. Even away from the computer though, consumers are on-edge about identity theft. Today, people are shredding their receipts, removing their personal information from the face of their checks, and cautiously covering themselves when they type in passwords at public terminals or ATMs. Microchips are being installed on ID cards. People are worried. Tap into this with an ebook! Anything to do with pets. People are pampering their pets more than ever before. Some pets are treated better than people. It's the people who spend small fortunes on their pets that will also be willing to pay good money for an ebook that gives them ideas on how to treat their animals even more royally than they already do. Write books on how to pamper your parakeet, homemade meals for picky dogs, where the pet spas are, how to train your kids to be cat-friendly, million dollar homes for mutts, which animals make the best pets, or pet psychology. When you hire for a writer for your ebook, what you are doing is enlisting the services of a ghostwriter. A ghostwriter is a writer who publishes under someone else's name, with the consent of both parties. Traditionally, ghostwriters have been and are still today hired by celebrities to write autobiographies when the celebrities are not talented writers. Ghostwriters also sometimes create works for well-known authors, such as Tom Clancy. This practice is done for business reasons, because the author's name alone will sell the books, no matter who actually wrote them. Ghostwriters may also write for book series' that don't actually have a real-person author. An example of a series written this way is the Hardy Boys series you may remember from your youth. The Hardy Boys cover author, Franklin W. Dixon, does not actually exist. Many romance novel series' have also been created in this way, where the author name on the cover represents any number or variety of commissioned writers. With the advent of the Internet and ebooks, today, ghostwriters also write ebooks. When you outsource your ebook to a ghostwriter, you are giving them the job of creating the words in your ebook in exchange for a fee. You still get to put your own author name on the finished product. Ultimately you will own the copyright, and you can sell the ebook as many times as you like. If it sounds like a pretty nice arrangement, it is. It's all completely legal and commonly done. And you do not have to be a celebrity or Tom Clancy to hire one. Just because a ghostwriter does the writing does not mean that you do not deserve to be the credited author. You will be the originator of the idea, and provide direction to the ghostwriter, so that the written material reflects what you want it to say. You may also create a pen name for yourself if you wish your real name to remain anonymous to casual readers. Once you hand off the reins to a ghostwriter to prepare an ebook for you, you may never go back and try to write one yourself ever again. A ghostwriter can do so many things for you, from researching to editing. And any writer knows that the process of writing and polishing a book or an ebook takes a significant amount of time. Much more than most readers will ever know. Start-to-finish writing is a large task best left to those who love their jobs, who are willing to spend the time writing and re-writing incessantly until things are just right, and who has talent and experience in the craft. You can outsource more than just rote writing to a ghostwriter. In fact, ghostwriters can be hired to research your topic fully on the Internet or elsewhere. They can then translate your or their research into organized sections and create palatable, conversational paragraphs for your readers. They can interview people that you designate or that they seek out for the ebook. They can separate the ebook-worthy material from non-ebook-worthy material for inclusion with an eye on what readers are interested in and what you have hired them to write about. In other words, good ghostwriters will stay on the topic as they write and not veer off into irrelevant tangents. It's actually an art form in itself to be able to insert quips and images that are designed to hold a reader's interest while quickly and smoothly getting back on track to deliver the information promised by the title and table of contents. Speaking of the table of contents, an experienced ghostwriter can review rough notes from you and propose a title and table of contents. Ghostwriters can start from notes, organize the material into an outline, generate a table of contents, research and add filling text, make boring information flow like an entertaining conversation, and more. They can basically start with whatever you've got to start with and get you from there to a completed ebook. If you have already tried your hand at preparing an ebook, a ghostwriter can whip your existing draft ebook into sell-able shape. She can review the content, make suggestions, do necessary research, add new sections, repair grammar, or revise any not-quite-perfect portions of the ebook. In fact, it has been known to happen sometimes that one ghostwriter will be hired to edit another ghostwriter's work. This may be done in a case where you are not satisfied with the result from the first ghostwriter, or can also be done if you just want to polish your product - going on the two heads are better than one philosophy. She can use a writing style and language that is appropriate for the book. Should it be in first person like this ebook is? Or perhaps it would work better in third person like many reference books are written. Should it be written from a female or male perspective? Ghostwriters will accommodate your preferences, and if you don't know your preferences, ghostwriters can help you make those decisions. She can put the ebook into the format that you choose. If you want your pages to appear the size of regular notebook paper (about 8 ½ inches by 11 inches), then the writer can prepare the manuscript to fit. If you like large margins, where the text appears in-between in a narrower column, the ghostwriter can do that. Narrow column ebooks are popular, and easy on the eyes. If you like a blank page preceding chapters, ask for that. For items such as page dimensions, font, and layout, she can make recommendations. She can also, in most cases, provide you the electronic file type that you prefer (MS Word, WordPerfect, Adobe Acrobat, Internet html, or other), or make suggestions to you on format. Finally, good ghostwriters can write quickly. Ghostwriters cannot perform miracles, but it's not unheard of to get an ebook done in 30 days when you need it fast. Depending on your need and schedule, you can usually find some who will work even more quickly. It's nice to allow six weeks, but not necessary. All you need to do is give the ghostwriter the information and he can get straight to work. You may provide any level of detail on your title or topic, your notions (if any) on how the topic should be covered, and any other relevant information. Most of the communication can take place by email, and that keeps things pretty simple and also well-documented. You may, if you prefer, talk by phone or use regular mail. It's not common or necessary to meet face to face with your writer to get her rolling on your project. This is because ebooks tend to be on tighter schedules and lower budgets than ghostwritten bookstore books. It will save time, money, and any confusion, if you try to use email and the Internet as your primary tools to communicate with your writer. Ghostwriters are invaluable resources. Time is money, and you want to spend your time elsewhere (marketing, thinking of new ideas, relaxing at the beach), ghostwriting is definitely the way to go. The general advantages are that outsourcing the actual writing of the book is not too expensive, commonly done (it's legal and writers are available to provide the service), and you can direct your energy somewhere else while the book is being written. In the end you'll still own the written words, and can do whatever you want with them. Indeed you can even edit and revise them yourself! Next, I'll talk about finding those available ebook ghostwriters and touch also on pricing. You can find ghostwriters the hard way or the easy way. The hard way is to locate writing or authoring organizations in cities around the globe, and interview writers until you find one that you believe is qualified to write your book. The easy way to find a ghostwriter is to go to an Internet site where ghostwriters are hanging out, ready to respond to classified ads. You place an ad for your project, and you wait for bids to come in. Two large sites with gobs of ghostwriter of traffic are Elance and Guru. A third way is to contact ghostwriting companies directly. Of the avenues available, I recommend going through one of the large sites that have high ghostwriter traffic. Sometimes these types of sites are called freelancer databases, ghostwriter banks, freelancer job banks, or similar. The two large online freelancer databases where ghostwriters lurk that I mentioned above, Elance and Guru, operate in essentially the same way. Basically, you post an ad and wait for responses. You choose a writer from the list of responders, agree on a schedule and fee, and then move on and do something else until your ebook arrives to you in your email inbox. Both sites maintain catalogs of people who provide freelance services. The Elance catalog has over 50,000 people listed. Some of the people in the catalog, or bank, provide software programming or other service. Not everyone in the bank is a ghostwriter. So when you get to the site, you'll need to navigate to the area that applies to ebooks and ghostwriting. Although this may take you a few minutes at first, the site is easily navigable once you get your bearings. Let's walk through Elance. Go to www.elance.com. From the home page, scroll down to the menu along the bottom of the page, and click on "Marketplace." From the marketplace page, look to the left hand side of the screen, and from that menu, click on "Writing & Translation." If the site organization has changed slightly since this writing, just use common sense and navigate around until you find the ebook projects database. Basically, you are looking for the area where you can advertise that you want to outsource an ebook to a ghostwriter. Click around until you get there. To make things easier on future visits, when you find ebook outsourcing services, add that URL to your Internet browser's favorites list. Tip: Writers are referred to as "service providers" on Elance. This phrase is not to be confused with an Internet service provider (ISP) or the service of the Elance web site itself. On Guru, writers are referred to as "registered professionals." In Elance's writing marketplace, browse through others' ads to see how they are finding ghostwriters, and roughly what the projects are paying. With a quick browse you can see how ads are written and which ghostwriters have responded, and additional details about the advertisers and the ghostwriter responder. Placing ads is free as of this writing. The ghostwriters are the ones who pay to review the ads. Isn't that nice? You will need to "subscribe" however, and get some of your information into the database in order to advertise. This is only fair so that responders know what they are responding to and so that there is trust that payment will be made when the job is completed. I recommend that you subscribe right away, so that the processing can take place while you're getting your other pre-work done (selecting a topic for your ebook and creating your ad for posting). Once you place an ad, writers will begin to post online bids for your project. They may offer to write your ebook for less money than the maximum pay you stated in your ad, or they may offer to write the ebook more quickly than you've stated you require. Basically, they start a friendly competition (usually friendly) to get your business. Lots of them will be appealing. That's because it's a buyers market - good news for you. Each responder will provide some background information along with their offer. There will be navigable links you can click on to review their history with Elance, their portfolio, and ratings given by some of their clients. Unsubscribed web surfers will not have access to all the detail that you do on the ghostwriters. Likewise, casual surfers will not have access to all of your ad's details either. From the bids you get, you read up on the materials available and make a selection. Once you've awarded the project to a writer, you'll work up an agreement between you and the writer, and arrange payment through Elance. There are agreement templates you can use on the site, and there are recommended methods of paying also. You may want to browse through some of this information early on regarding scheduling and payment, even before you place your ad, to make sure you understand the "fine print." There's nothing terrible there that I know of, but read it all anyway because it's the smart thing to do. Payment can be made before the writing starts, after the writing is completed, or half before and half after the writing is completed. When you do pay, a percentage will be taken by Elance. This fee is currently less than 10 percent and is considered a finder's fee. Basically, you won't pay anything to your ghostwriter or to the databank service until you have actually selected a writer. Guru operates similarly. You can visit www.guru.com to find the company's agreements, paying procedures, and finder's fee amounts. The home page of Guru lists categories of freelancers available. You will want to head directly to the "Writing/Editing/Translation" category list on Guru. Currently, there's a fee structure at Guru that varies depending on what type of subscription freelancers or service companies have purchased. Some freelancers can list basic skills and respond to some ads for free. Paid members and companies will have higher profiles and be able to bid more frequently. To post a "ghostwriter wanted" ad is free. You will still have the power to peruse the entire catalog and invite certain service providers to bid on your project. The finder's fees range from 5 to 10 percent, and the finder's fees are pulled from the buyer and/or the seller at Guru. Guru is a larger site that has won some awards and has a catalog of hundreds of thousands of service providers in their database. Like with Elance, only a fraction of the service providers are ghostwriters looking for ebook work though. But a fraction of almost 500,000 is a good number. Because of the buyers market, your odds are pretty good for finding someone quickly on the Internet. Postings for "ghostwriter wanted" are a factor of ten fewer than the number of authors that may bid on the job. This is regardless of monthly fees and percentages charged to the writers on the sites. Sometimes there's also a fee-per-bid charge for service providers. Since many ghostwriters who will be responding to your ad are already out of pocket monetarily, they're eager for your project. And, they are serious about their business. The information available about each service provider, i.e. ghostwriter, can be compared to information available on vendors on the popular eBay auction site. Histories and rankings on the large sites are readily available for each writer or company you are thinking of hiring. You can see if other clients have been satisfied with a writer's work, and see how many ebooks a ghostwriter has written through the use of the freelancer bank. These indicators can be very helpful when it comes time to make a selection, and I'll talk more about how to choose a writer in the next chapter. There is another freelance database on the web where ghostwriters lurk sometimes called AllFreelance. There, ebook creators have been known to find ghostwriters using a procedure similar to the ones at Elance or Guru. Ads are placed, and freelance writers respond with bids. I don’t like the site myself because of the irritating popups. But, it's got some traffic. If you'd like to check it out, swing by www.allfreelance.com. But don't say I didn't warn you about the popups. I'm a busy man, focused on what I want to get done, and therefore I personally don't generally return to popup sites (as you may be able to tell by now!). You may not wish to reveal your one-of-a-kind ebook subject or title to just anybody in what amounts to a classified ad. But you still want to attract competing ghostwriters to your interesting project. Here's what you can do. Both of the freelance database sites provide a mechanism for you to post some information in your ad that only the paid subscribers can see. This is a good way to go, and you'll see during your initial browse of others' ads that many advertisers do this. You'll see a symbol next to the project listing that indicates some of the detail is locked from public view. Already, portions of the ads are hidden from public view, and extra "locking" reduces the visible portions even further. Also, you can be vague in your ad. There's no need to list your title, ideas of chapters, or even the precise nature of the subject matter. In your ad, you can call your project a "business ebook," if you like. When you hire a ghostwriter, you will of course need to deliver the particulars so that they can do a great job for you. Even then, it's common to have the writer sign a confidentiality agreement. So, basically, don’t worry too much about someone else seeing your idea before your ebook is done. The threat of an ebook idea or title being stolen is not really that high, although as mentioned earlier, ideas are not copyrighted, so someone could rightfully go running off with your idea. The truth is any reader of your book or related sales web site could swipe your ideas just as easily. Regardless of the risks, try not to deliberate or worry excessively. I'm sure you are busy too, and you have better things to do. You may wonder why the ads are made visible to the public at all. The sites make all ads available in partial form so that unsubscribed visitors may, by viewing samples, be enticed to become members. Everyone starts as a browser and needs something to browse before making larger decisions. As you browse, you will surely see that invariably, advertisers get some responses that are outrageous. Offers to write a 100 page book in a day for a few hundred bucks. At this stage, just ignore those, and know that regardless of a few sour grapes, overall the system tends to work. You can move things along a little in terms of trying to get the type of responders you want. Obviously, offering a legitimate amount of time and pay is one way to attract a good ghostwriter. On Elance, you can peruse the database and select certain writers to invite them to bid on your project. On Guru, you can screen out certain types of people from the list to bid on your project. Once you get to the list on Elance, follow the site's instructions to invite certain people to bid on your project. You can either browse through the list line by line, and select candidates you like to invite, or you can do a site search for certain types of qualifications. There's usually a limit on how many freelancers you can "invite" to bid. Ten or fifteen writers should be plenty though. The sites limit invitees to keep advertisers from mass-inviting the whole list. That would serve no purpose since ads are viewable by all members, but some advertisers would surely mass-invite to be more visible than competing projects. Limiting invitees takes care of that potential problem. On Guru, you can limit your ad allowing only writers with certain qualifications to bid. Because Guru's database is so large, most advertisers screen out writers who do not have paid memberships. This, in theory, eliminates fly-by-night writers who are not willing to pay or to maintain a monthly subscription to the service. On Elance and Guru, most ebooks are outsourced for a flat fee. When I say flat fee, I'm talking about the money you offer to pay the ghostwriter (as opposed to the various percentages and fees taken by the database site). If you choose to, you may, in addition to the flat fee, offer a ghostwriter a per-sale percentage. This is a good-hearted thing to do, since the writer created the work. Even ghostwriters have to live. You are never under any obligation, and most ebook owners don't offer percentages to their ghostwriters. You will be required to use the payment processors on the sites, so that they can take the appropriate percentages, and also so that the writer is somewhat guaranteed to receive proper payment. For example, on Guru, some writers may opt only to receive payments through an escrow plan. By doing so, they require that their clients have the payment available in full in an escrow account. Although actually payment is not transferred until agreed terms are met, the money is sitting in the account, to be paid upon completion. Having the money sitting in escrow builds a writer's trust in your ability to pay. You also may if you wish offer credit to your ghostwriter in your ebook. It's occasionally a common practice with paper books, and you may do the same in your ebook. I recommend it, because it's a nice thing to do and will please a good writer who you want to remain on good terms with. Here's how you do it without flat-out telling readers your book was ghostwritten. 1) Thank them by name in an acknowledgements paragraph. Don't mention what exactly you're thanking them for. Your acknowledgements paragraph can be in a foreward, and introduction, or near the end of the ebook. 2) Include the ghostwriter name in the byline in an inconspicuous location in the beginning of your ebook. Don't do this on the cover or in your web sales ad, and don't make it prominent. In small print underneath "by" Your Name, include the phrase "with Gary Ghostwriter." 3) Instead of using "with," use "as told by." I wouldn't go as far as to say that giving partial credit is a universal practice, especially with ebooks, but it is done, so you might want to think about it. I do it sometimes, but not all the time with ebook ghostwriters. I decide based on the quality of their work, the possibility of follow-on ebooks, and whether or not the readership would be compromised in any way. Here's why I'm telling you the partial credit stuff: even though it's something you can offer that is often considered as good as compensation, I do not recommend that you offer it outright on the database sites. Regardless of what other advertisers are offering, only offer partial credit if the final product warrants it. I implement partial credit on a case by case basis, and never offer it to an unknown writer up front. Frankly, placing your project ad into a large database like one on Elance or Guru and getting competing bids is the most efficient way to find a ghostwriter. However, I would be remiss if I didn't at least let you know that there are some ghostwriters that you can hire directly. I mentioned you could look around in writing organizations, but also, you can go directly to any of the web sites listed in the last section of this book. You will need to do your homework, check references, etc. on any of these ghostwriters, just as you would with ghostwriters on the database sites. To find more individual ghostwriting web sites, search the Internet for "ghostwriting service," or "ebook ghostwriters." If you hire directly, you will save yourself the finder's fee charged by the database web sites. 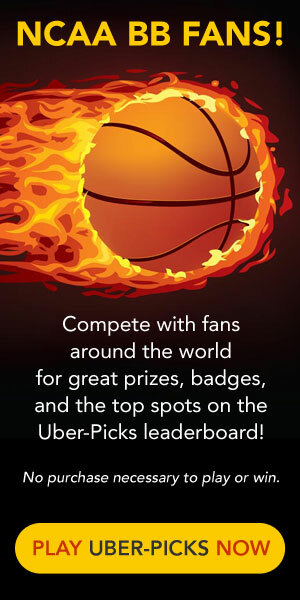 However, you will not have access to the competitive marketplace and the ranking information from the large sites. On Elance and Guru, after projects are completed, many clients provide some very valuable and useful feedback on their experiences with the ghostwriters they hired. This feedback is available to future clients and people who are placing ads. Individuals and companies who provide ghostwriting services but are not bidding for your job through Elance or Guru may charge flat fees, percentages, or per-page rates. Some require partial credit in the ebook. Some of them advertise rates that are rather high compared to the ghostwriter banks, but you may also find some that are comparable, such as www.truetalentmedia.com. Talk to individual-site potential ghostwriters online to find out their fees, experience, and such. If one can't help you, he or she may be able to direct you to someone else in their line of work that can. However you go about finding one of the many ghostwriters that are lurking day and night, for efficiency's sake, do use the Internet. Post your project on Guru or Elance or both, or initiate contact with an online ghostwriting service. Once you start getting bids from the banks and/or pricing and service information from the individual ghostwriting services, you'll have decisions to make, and I'll tell you how to choose a writer in the next chapter. 1. Short description of the project. A few lines at most. 2. Maximum amount you are willing to pay. Writers can bid lower than this, but they cannot bid above your maximum offering for your project. 3. Date you will close bidding on your project. Close bidding in a few days or a few weeks. Don't leave your ad lingering on the site too much longer than that, because it loses momentum. Besides, if you are not getting responses you like, you can always place another. 4. Deadline the ghostwriter will have to meet. Give the writer a month or six weeks if you can. But, if you really need an ebook in seven days or less, then specify that. If, for example, you'd like to have an ebook written on the subject of how to homeschool your gifted child, here is some text you might include in your ad. 1. An 80-page or longer ebook covering successful homeschooling techniques to use specifically with gifted children. Research to be done by the writer. Two revisions if necessary. 2. Maximum acceptable bid: $1200. 3. Close bidding date: 12/05/05. 4. Will need completed book within 21 days of job start. Tip: A good length for a for-sale ebook is 80 pages. Other common lengths are 40, 60, or 100 pages. To specify that you'd like an 80-page ebook, require at least 80 pages, or 80 pages + in your post. A free-give-away ebook used to market other products or services may be any length. You can specify any other parts of the book you like, but keep your list of requirements relatively short. For example, you may specify that you need a glossary chapter or that you will need drawings and/or photographs included. For an ebook on how to tie your own flies, you may ask that the ghostwriter provide drawings, or you may provide the drawings yourself. The former is easier for you, but will probably drive the cost and delivery time up somewhat. When you come to an agreement with a writer, you will naturally provide all the other details he or she will need to complete the book. He may need to know what font you would like or what personal details you want included. It is a good bargain to pay around $1,000 to get an 80-page ebook ghostwritten without drawings, photographs, or cover art included. It is possible to get good ghostwriters sometimes for a tad less. If you offer to pay a maximum of $150 for an 80-page book, you will not likely get a ghostwriter who knows what he is doing. You can advertise a maximum of $1,000 for a 60-page ebook, and you will get some legitimate offers in the range of $500 to $1,000. Although you don't want to pay a huge amount more than necessary, I do recommend that you offer and pay an adequate amount to get a good ghostwriter. It's worth it. My rule is for a simple ebook, I will pay up to $1500. I add more if drawings or photographs are required or if length is greater than 80 pages. My math indicates that I will need to sell roughly 100 ebooks to recoup that money. No problem, since I'm working the marketing and sales end instead of writing the book. And my sales are much higher, generally. Tell viewers what kind of qualifications you are looking for. Either make the selection on the screen by clicking on the categories provided by the service, or indicate clearly in the text of the ad what type of person you're looking for. You will also want to indicate that you may require that the ghostwriter make revisions after you review the ebook. Note this in your ad as well. It is okay to indicate that you would like two sets of possible revisions to be included in the bid. When you negotiate the final terms with the writer, you can specify what types of revisions are included and the timeframes for them to be done. One thing you do not want to do is to change your mind on what you want after you have already posted your ad. Although posting is free on the ad sites, if you make changes or otherwise renegotiate on terms already established, word will get out. Besides it's just not a good idea. It wastes your time. A great way to make sure you've included all necessary details, but have not gone overboard with too much detail in the initial stages, is by browsing other ghostwriter-wanted ads Elance or Guru. In ten minutes, you'll be able to jot down your ad by using one of them as a template. Posting projects (or, running your ad to find a ghostwriter) requires a little bit of reading time on your end. But once you learn how to post ads the first time, you can repeat the process over and over again with little effort whatsoever. Don't be fooled into thinking that you can have it your way with any other route. To get exactly what you want without writing it yourself, hire a competent ghostwriter. There is another way to sell or give away an ebook without having to write it. I'll tell you about it and then tell you why I don't much care for it. Ebooks that have already been written are available for purchase. The process is often called "ebook reselling." You can actually buy, and pretty cheaply I might add - sometimes for less than a hundred bucks, a pre-written ebook. With the price, you obtain the license to resell. Then you can sell that ebook as many times as you like for any price you like. A couple of Internet sites that do this are listed in the last chapter of this book in case you want to see how this is done for your own edification - but I actually do not recommend going this route. I don't recommend ebook resales for several reasons. First, you don't get to create your own personal and unique book. Others will also have resale rights. The very customers you are trying to sell to may be also receiving marketing materials from someone else for the exact same book! Second, many of these resale ebooks contain marketing information or links to other services which serve the purposes of the original writer and not you or your targeted readership. This is one of the ways that an originator gets by with selling the ebooks so cheaply for resale. He heads straight to the bank whenever a reader that you sold the book to buys one of his offered services or other ebooks. Third, ebook resale services are heavy-handed with advertising. You can't even pay a visit to one of their web sites without getting bombarded with popups. Nobody likes over-the-top selling or advertising. In fact, no one likes sneaky, subtle advertising either. If your readers go back to the originating web site, which will most definitely be listed in the ebook, then they'll be bombarded too. With your own ghostwritten ebook, if you utilize advertising of your own services boldly or subtly, at least the advertising you're exposing to the readers is for products or services that you will receive compensation for. And then maybe you could resell your book...just something to think about. Ghostwriting gives you a one-of-a-kind product. In the end, although someone else wrote it, you dreamed it up, and you own it outright. Ghostwritten ebooks, compared to resales, offer maximum flexibility for you to market, revise, advertise, and more. You can actually legally pursue anyone that tries to copy the written work or resell your ebook without your permission. You're protected by the copyright law. Pay the money to get a unique book created that you have control over. Pay extra to get an excellent ghostwriter if you need to (what I mean is don't always take the lowest bid necessarily). Then you will be proud to sell your well-written, distinctively-your-own, ebook. Good news! After you place your first ad, within days if not minutes, you will likely have multiple freelancers who have responded wanting to ghostwrite your ebook. If you contacted any ghostwriting services outside the freelance banks, then you'll probably also get immediate responses and interest in your project. At that point, you will have the wonderful problem of having to choose which writer you'll use. Why not just take the lowest bid? You might be tempted to take the lowest bid, but if you are willing to invest only a few extra minutes, you could save yourself from heartache that might follow if all you are looking at is price. You need to find someone who will do a good job, deliver a timely result, and who is at least somewhat pleasant to work with. First, read all details that each bidder has posted in response to your ad. Look for writers who have verified credentials and who have had positive client reviews at Elance or Guru. Verified credentials are those for which the site received confirmation in official form, such as a transcript or diploma. Review customer ratings that have been posted on Elance or Guru. This type of feedback will not be available from individual ghostwriting sites, but is readily available on the database sites. Not all clients post feedback after a project because they get in a hurry or forget. But many do. And you can usually put some stake in the ratings because the clients were once in your shoes placing an ad for a similar service in the databank. Therefore the databank clients' feedback ratings and comments are not irrelevant. Clients' comments help you see if they were satisfied with the working relationship and also with the quality of the finished product. For ghostwriting services obtained through Elance, Guru, or an individual ghostwriter site, check out the writer's references. Don't just look at a list of names and assume that the longer the list, the better the references. Get contact information, and follow up. Contact the references; that's what they're there for. Reference lists and testimonials are only as good as the phone numbers that come with them so that you can confirm that someone was satisfied with the work. It is the nature of ghostwriting that the ghostwriter is not at liberty to divulge or show you his work for others. But if you could speak to only one of his or her clients or collaborators, then at least that is something. Be hesitant to award your first project to a writer who will not provide at least one reference of some kind! Where ratings and references will tell you how easy or difficult a writer may be to work with, writing samples will give you a more explicit idea of how well a writer actually writes. Although ghostwriters are not at liberty to post or publish work they did for others for a flat fee, they may be able to show you something they wrote for their own benefit or something that they published under their own name. In occasional cases, ghostwriters are given credit in the books (or ebooks) that they wrote. Those books would be good writing samples to look at. Require at least one or two writing samples at a minimum. An experienced ghostwriter should have a lengthy portfolio, but even a lesser experienced ghostwriter should be able to show you something they've written. Even a letter to the editor of a newspaper or an essay on their personal web site is better than nothing. You can tell a lot about writers from their samples. You can usually tell if they speak conversationally, if they have a comfortable command of the language you're looking for, and if they pay attention to detail (with no errors spelling or punctuation). In addition to ratings, references and writing samples, you may want to also ask that your ghostwriter be fluent or proficient in a particular language. You may even request a native speaker if you like. Do ask, because when you are evaluating bulleted online information like job bids, you cannot always tell who speaks what language fluently. Short bids with line items that are purely factual are easily done by native or non-native speakers. The nature of the online bidding is that short and sweet is better than long and beautifully written. So don't base much on the bid. Read the ratings, contact a reference, review a writing sample, and request a native speaker. He who speaks a language well and fluently is more likely to write it well and fluently. That's what you want for your ebook. Although terse ad responses are common, if you do see any glaring errors in the response to your ad, like a misspelled word or confusing explanations, proceed with caution in the direction of that writer. Give a responder some leeway in abbreviating or being direct. Beyond that, glaring errors in can be an indicator that the responder may not be the best one for your project. Remember, if you wanted to slap a book together throwing grammatical caution to the wind, you could write that yourself. You are looking for a skilled writer who pays attention to details. Again, beware of responders offering to write you a 100-page ebook in a matter of days. If you want any kind of in-depth coverage or research, this isn't possible, even for a talented and experienced ghostwriter. These people are trying to steal your business away from bona fide writing professionals. Skim past outrageous ads; don't waste your time there. It's not to say that an amateur wouldn't do a good job, it's just that with experience comes better writing that is faster and more accurate. Even the best ghostwriter cannot perform miracles. He or she will need time to read, study, interview, organize, draft, and revise before getting it to you. Regarding amateurs, if you think that someone with little or no ebook writing experience would be a good fit for your ebook anyway, then you may be right. Everyone, even a ghostwriter, has to start somewhere. Although he may not have many client ratings on the site, he should be able to get you a resume, some writing samples, and some general business references. If a new ghostwriter is serious, he will have prepared these items. You don't go to a job interview without a resume in hand, do you? Well ghostwriters that are ambitious and have talent, likewise will be able to show it. Review the resume and writing samples, and contact the references, Then, who knows, you may find that you and he are a great fit. You may strike gold where other potential clients have walked on by. As I mentioned, be extremely wary of outrageous claims. If a writer can't provide you with any verification that he has indeed written over 200 ebooks and made his clients over ten million dollars, then there is no reason to believe it. Nor is it generally possible to get any kind of quality book written in a matter of days. If you get tempted to use one of these mavericks, check their feedback from other clients. You may get the real picture there. If it seems too good to be possibly true, it is. Use common sense. On Elance and Guru, when you open your ad, you will see a list of the bidders who responded, how much they propose to charge, and some links to check out their qualifications. One of the links will take you to a responder's profile page. Go there and read all the entries carefully. You can glean what others in the system think about the writer's work - both the work product and how easy he or she was to work with. As you're reviewing, keep in mind that just as some responders can be outrageous, so can some advertisers. It is possible that Client A advertised that he wanted a particular ebook written. Writer B responded; they worked out mutually acceptable terms. Writer B, an experienced ghostwriter, went straight to work, and produced a product that was exactly as required by the ad, the agreement, and his general good judgment and experience. Yet, Client A was not satisfied. Client A decided mid- project that he wished he would have remembered his niece was a writer, and he thinks he should have hired someone in the family. Writer B knows nothing of this and continues to write per the agreement. Client A becomes grudging and difficult during the writing process. He is never quite satisfied with the ebook, although Writer B doesn't ever understand completely why. Eventually the ebook project is completed and payment is delivered, but Client A, still unhappy in his world, gives Writer B a low ranking and zero kudos even though Writer B did a fine job. This kind of stuff happens; so what you want to do is look at multiple rankings. One or two outliers can pretty well be ignored. In any case, a single low mark or a single high mark probably doesn't mean as much as overall in terms of how clients are appraising this person's work. Look for how most clients ranked this person. Also compare that against how many jobs the responder has actually done. Fifty fairly positive ratings would be a safer bet than a single stellar rating. Once you go through the items above, you will have a good feel about who to select from the list for your project. You may have six really good contenders. In that case, take the one with the best writing samples. The benefits of searching the databanks are many. However, one drawback is that you cannot always make direct contact with prospective ghostwriters. Sometimes you can. But on individual ghostwriter sites, you will usually be able to get in touch with and talk to the actual ghostwriter. This is one more way to make sure that you feel 100 percent comfortable with your decision. So, where possible, contact the ghostwriter directly. Get to know him a little. Lots of things cannot be translated over the Internet, but you can figure out a lot in a quick phone call. You may ask questions such as, "Will you be writing yourself, or will you be giving this job to one of your employees?" You have the right to find out such things. One key that a ghostwriter is good is repeat business. Repeat business indicates that a client liked the ghostwriter's work because the client came back for more. On the database sites, you can see from the profile page if a client has posted more than one rating for more than one project on that particular ghostwriter. If there are multiple project entries from the same client, smile, and move that ghostwriter to the top of your list. I don't think this is as big of a deal, but it is something to look for: areas of expertise. If your book is on running a house on a tighter budget, and a ghostwriter with good credentials, references, samples, ratings, and some repeat business also has experience writing books about money - bingo. It just doesn't get any better than that. I've warned against believing outrageous claims to write your book for next to nothing in less time than it takes to get a suit dry cleaned. Now I'd like to mention the writers on the other end of the spectrum. There are some writers who just plain charge beyond the top end for their services. Some are out to take your money, hoping you'll stumble on their web site, and be dumb enough not to check out the going rate to get an ebook published on a databank site, and you'll pay their fee schedule, no matter that it's above industry standard. Now, some men and women who charge an arm and a leg are actually extremely gifted and highly-sought-after artists. You may be tempted to get one of them because they've done writing for a famous client list or they've been published in the New York Times. But don't. Don't hire the over-charger, and don't hire the Rolls Royce of ghostwriters. Neither one will get you what you need. With the over-charger, you'll be paying too much for a product. With the Rolls Royce writer, you will get better writing than you need for an ebook. Your target readers, in most cases, are hungry for information. They want a book that cuts through the bull, lays the dots out, and then connects them. They don't want a lot of three or four syllable words. They don't require or appreciate poetry or line after line of clever humor. There's just no need to have J. K. Rowlings write your book (and anonymously, imagine!). If for some reason after reading this book, you decide not to use a ghostwriter bank system to get competing bids, then I urge you to comparison shop. Get at least three bids if you're looking only at individual ghostwriting sites. Generally, if a ghostwriter wants $10,000 for a 60-page ebook, he's charging more than normal. I can't think of anything that would make this worth the money. If she claims to be able to complete your project in 48 hours or less, in my experience, the product will be sloppy at best. When you select a writer, you will need to strike up a written agreement. The large freelancing sites have contracts that you can use. The contracts will include payment for particular milestones, whether or not revisions will be included, deadlines, and confidentiality issues. Use the standard contracts as starting points. You may want to have an attorney check out the legalese, but from my experience the templates are good. Use them. From individual ghostwriting sites, you certainly want to carefully read, negotiate, and possibly have an attorney review your contracts and work agreements. What makes a great ghostwriter? Here's what: a reasonable price, timely delivery, a good product, and something else. Yes, something else! The icing on the cake is a good, trust-based, long-term working relationship. If you develop a relationship with a good ghostwriter, you can bring him or her project after project, and accomplish all kinds of goals with his or her help. A good ghostwriter at your disposal is as good as gold. So lay the groundwork for finding and keeping a good ghostwriter associate. Pay reasonable rates. Don't belittle your writer, and don't expect them to stay awake at night without food or sleep to complete your projects. The ghostwriter is a freelancer, not your employee. As such, he is at liberty to work in the best way possible at his own discretion. If your ghostwriter is particularly good, tell others who might hire him. Bringing in business will always earn you high marks. Pay promptly when jobs are finished. Never withhold payment if the terms of the agreement have been met. Give your favorite ghostwriter interesting new subjects to write about. Tell him he did a good job! Give him partial credit if it will not adversely affect your ebook. Go back to the previous chapter of this ebook to review ways you can slip his or her name in without giving up the secret that your ebook was ghostwritten. Obviously I have a lot of respect for ghostwriters. Even though I'm not willing to pay what Britney Spears would for an autobiography, I am willing to pay on high end of the ebook pay scale. I like to write, don't get me wrong, it's just that ghostwriters can really write. They know things that I don't even want to know and see details that I don't want to be bothered with. In my experience, it's easy to find a ghostwriter and not quite as easy to find a really good one. Once I've found a good one or two, I do my best to keep them happy and keep them around. This saves me time, money, and frustration. Once you develop a small group of good ghostwriters for yourself, there's almost no end to the number of ebooks you can write in a year. Think long-term when you work with a ghostwriter. You can interview new ghostwriters for every project, which isn't difficult, just time-consuming. Or, you can develop a relationship with one or more excellent ghostwriters and save yourself from all that trouble. Treat your good ghostwriter with respect and courtesy, and your investment will come back to you many-fold! "Wait! Why would an ebook need cover art?" Do not for a moment think that an ebook does not require a cover. If you're going to sell your ebook to the public, go the extra half mile and get some great cover art for it. Of course your ebook is full of all your best, Grade A meat. It discusses a sought-after topic, was prepared by a solid ghostwriter, and was edited and approved by you yourself. Customers should be able to read about you on the Internet, click on a text link, and buy your book. Write it and they will come. Right? Wrong. Even online, people continue to judge books by their covers. Look at it like this. Would you buy a book from Barnes and Noble if it were just a stack of papers stapled together? Heck no you wouldn't. For $15.95, you want something with an official binding and cover. What would bookstores be like if every shelf held only stacks of paper held together with binder clips, large staples, rubber bands or manila folders? Even if Edgar Allen Poe wrote the pages (assuming you hadn't heard of him), and his handwritten pages were sitting there, hardly a soul would be enticed to buy. No matter how good a book is, it must be nicely packaged. The value of a paper book is exponentially increased by the addition of nothing more than a glue binding and nice cover. Likewise, and ebook's sale-ability and appeal is exponentially increased when it is packaged with an appropriate cover. In order to sell well, a book sitting on a retail shelf will actually have to have more than just any old cover. It will need to have a spine as well. And the pages cannot be attached with notebook rings (usually). The cover should appear to be professionally designed. In other words, a red cover from Kinko's will not make buyer's pull out their credit cards and rack up purchases. Brick and mortar booksellers know how to sell books. They do it with eye-catching displays and covers with color, catchy text, and shiny spines. And if they really want to grab your attention with a book, they may make a special display, offer a bonus, have the author available to sign copies, or set a particular book on a particular shelf where it will be more visible to passers by. As we all know, it's tough to sell a book! Sometimes even good covers get passed by, because other covers are more enticing! So, hear me when I tell you, don't even think of trying to market an ebook without cover art! Consumers want to see a picture of what they're getting. And that picture has to look good. It has to make them say, "Wow, that looks like an incredible book!" You have only a second or two to grab their attention. You must do it with a picture. And the picture must be as good as it can possibly be! If you are thinking of offering your ebook as a free gift for visiting your web site, subscribing to your newsletter, or as a bonus for purchase of something else, then the artwork is less important. But still, there is no excuse. If a book is worth the effort of writing and marketing to consumers, then it is worth getting great cover art to package it with. 1. It gives Internet surfers an immediate image of your book when they're glancing at a web page. People only spend a few seconds scanning on the web, so your picture can make or break a sale when there's hardly time to read the rest of your sales pitch. 2. It puts a nice graphic at the beginning of your book. Although ebooks don't need complete covers like traditional books do, people like the idea that ebooks are just like paper books. The cover art makes your ebook appear more official and published like a traditional book, and that makes the ebook more appealing to readers. It will grab their attention when they first open the file to read. This simple example graphic is about the right size to place onto a web page where you will be selling or giving away the ebook. You may place a larger version of on the first page of the file that readers will open when they purchase your ebook. Your ebook cover will look more like a paper book, and therefore more appealing if your cover art also contains the title along the spine, and aesthetically pleasing designs, drawings, or photographs on the cover. I've just put this simple picture here to give you a quick example of how it looks compared to text. You've been reading a bunch of words up until this point. Do you see how your vision is pulled toward the picture of the book? Even this bare bones cover grabs your attention doesn't it? There are a couple ways to get great cover art for your ebook. The first is to create it yourself. This is the most time-consuming of the options. To make your own cover, use your favorite drawing, painting or graphics software. Draw a rectangle. Add a book spine and pages to give your rectangle three dimensions to look like a closed or partially open book. Fill your drawing with interesting colors or patterns. Add your title and author byline to the front and spine. Embellish and revise ad nauseum. If you're wondering which graphics program to use, there are many to choose from. Some standard office programs provide the ability to create graphics, including MS Word. More flexible, but more complicated graphics software you could use just as well includes Macromedia Fireworks, CorelDraw, or Adobe Photoshop. Professional cover art designers and graphics artists tend to use the pure, flexible, more complex, programs for their work. Shortcuts to the build-it-from-scratch approach include using templates or using ebook cover art software. I've listed some web sites where you can get free templates in the online resources chapter. Again, most free template sites will ask for a link displayed in your ebook. Although I don't have any reason to advocate purchasing cover art templates, I've also included a couple websites that sell ebook cover templates, just FYI. Purchased templates should not require a link back, and if they do, then definitely don't buy those. 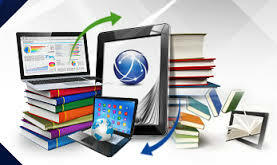 You can also buy specialty ebook cover software from a number of web sites. I don't recommend this either. The software generally is a glorified set of templates, but gives you more choices and more freedom to change this and that. You will still do the work of designing your own cover. I've included web addresses where you can check out a couple of these packages in the online resources listed at the end of this ebook, FYI. 1. You get full copyright and exclusive ownership of the finished artwork. 2. Professionals with professional skills can turn around your project quickly. Sometimes in a matter of days. 3. You avoid struggling with software to create your own artwork. 4. Designers are familiar with what types of colors, fonts, and overall designs are better for marketability. 5. An artist can likely also help you create matching graphics for your web page menus, headers, etc. Just like searching for a ghostwriter, you could ask and call around in your community's art organizations to find artists that you could pay to design an ebook cover for you. Another way to do it is to conduct an Internet search. If you type in key words "ebook cover art" you'll get pages and pages of results. Ebook cover artists are literally standing by to get your project on the world wide web. Some individuals specialize in ebook cover art, and some companies provide a gamut of graphics or e-selling services. The reality is, going to individual web sites and researching each one can take some time. So, I would invite you to try one of my low-B.S. approaches to finding an ebook cover art designer. Here's what you do: Look at web sites where ebooks are being sold. Most well-marketed ebooks have cover art shown on a web page where the ebook(s) can be purchased. Decide for yourself which of the ebook covers most capture your attention and would therefore be good for your project. Once you've found one or two really great ebook covers, contact the webmasters and ask who did the designs. You'd be surprised how many people will share their information with you. Introduce yourself pleasantly. You won't find out much by being gruff or unfriendly. Be honest and open, and if you want to start off on the right foot, it may help you get in the door if you initiate the conversation by complimenting the webmaster's work. When you're using your best manners, if one webmaster won't divulge his cover art designer, then another webmaster definitely will. A good designer works with you and for you. Whether by Google or by referral, once you navigate to an ebook cover designer's web page, read through her terms to see what her fee is, how well she works with people, and any examples of her work. Contact her to get additional information. And regardless of any testimonials on her web page, ask for references of real people whom you can contact yourself. · Does the artist get a lot of repeat business? · Has the artist been responsive to your questions? · Have you seen some excellent examples that you really like? · Does the artist guarantee your satisfaction before he gets full payment? · Will he or she revise the artwork after you've seen the first draft? Is this revision included in the quoted cost? · Do you feel yourself wanting to buy the ebooks shown on the designer's web page that this designer "covered"? In other words, do his or her pictures entice you to make an immediate purchase? · Will the artist also be able to create additional items like web page headers, banners, or related items? The work to weed out designers and to find a few that you like will pay for itself in the long run when you want to create ebook after ebook. It's good to have someone who designs great covers, whom you can trust and rely on, who works quickly and effectively, and who charges reasonable rates. Tip: Find out the web services fees when you're asking about ebook cover art fees. It's an added perk if your ebook cover artist also provides web page design services. You may wish to have your marketing web page and ebook cover design match. A good artist can generate titles, banners, buttons, and other related web page items. What makes a great ebook cover? When you hire a designer, you're giving up the reins on your cover art to some extent. You can definitely use your gut instinct (which is usually right anyway) to determine when a cover is just right for your ebook. If your gut doesn't speak to you, you can also make sure your cover art is good by asking yourself and answering some questions. Does the artwork stand out proudly on your web page? You don't want it to blend in with the background or be barely noticeable. Whether it's by color, texture, shape, exclamation points, or professional looking artwork, your designer needs to know how to add enough pizzazz to your cover art to get you noticed. This doesn't mean that you need microscopic detail or complicated figures or drawings. Sometimes simplicity does the job quite well. Artists know that. Look for the "stand out" factor on his designs. Is the title prominent on the cover? You don't want too many words on the cover. Stick with the title, a byline, and short words. You may be able to effectively include a short bulleted list, but not much more. When you quickly scroll through web pages, you should be able to remember from a quick glance what the title was on your ebook cover. If the title isn't lodged in your memory after a passing glance at the picture, then the artwork needs a face lift. Does the cover use four colors or less? Although rainbows are pretty, they don't stand out as much as solid colors. You can actually get by with three colors. In most cases, you'll need at least one more color besides just black and white. Just like web pages can look unprofessional with too many animated graphics and background textures (moon craters, wood grain, tiles with photographs on them, whatever), likewise, your cover does not require all these frills. Don't be sold on an artist or his work because he can make your ebook cover look like a tie-dyed T-shirt. Unless of course your book is about tie-dying! Occasionally lots of colors or textures are called for, but usually not. Can you read each letter of text on the cover? You do not want a font that is difficult to discern. Interestingly, the simple fonts that we use every day when we communicate by email, are some of the best for ebook cover art. There's a reason fonts like Arial and Times are so popular. People find them easy to read. Don't make your potential buyers work to hard to figure out which letter is which on your cover. In general, stay away from curly cues, unusual handwriting fonts, and heavily detailed lettering. Does your cover have a large amount of red, blue, or yellow? These have been determined by psychologists to be appealing colors for consumers. In fact any two of these colors in combination with black and white would probably work. Steer away from brown, green, gray, and muted or faded colors unless there is some really good reason to use those colors. For example if your book is called "How to build a log cabin," your project may be well-served by browns and greens. But maybe not! Try red, blue, yellow, black and white first to see! By the same token, money ebooks do not have to be green, and ebooks for brides do not have to be white. Does your cover look like a three-dimensional object? You are trying to convey an actual book, so you definitely want the art in 3-D. Make sure your ebook art has a spine and the appearance of some internal pages. Don't settle for a rectangular representation of only the front cover of a book. A flat rectangle could work for the first page inside your book, but not for a picture on a web site that is supposed to attract a buyer. Even though your readers will obviously have enough computer wherewithal to have found your ebook in the first place, in their hearts, they will still be attracted to online artwork that reminds them of actual paper books. It's just a fact of life, so accept it, and make sure your ebook cover art looks like a book. Luckily you don't have to convince Barnes and Noble to put your book on a prominent shelf. You have the Internet at your disposal, and the Internet is the place where ebooks are purchased 99 percent of the time. The remainder of ebooks are sold at conferences and the like by CD-ROM (which incidentally should be packaged with great cover art and delivered in a shiny crystal case). First things first. You'll need some web space for your book. You can either pay a host or you can get free hosting service. I recommend you pay (for an inexpensive web host at least), and I'll tell you why. There are many providers of free web pages, and a quick Google on "free web hosting" will illustrate that to the tune of page after page of providers. However, some of the services are unreliable, have annoying popups or other advertising, or have strict requirements on what you can and can't sell. If you want something for nothing though, a good starting point is your own Internet Service Provider (ISP). Some ISPs, such as AOL, MSN, EarthLink, or RoadRunner may provide free web space as part of your monthly subscription. What they do not provide free is a domain name for your web site, such as www.youexpert.com. Likewise, other free web hosting services do not allow you to use your own domain name. Besides the annoying ads and rules, the domain name issue is a huge reason not to use free hosts. If you want to be professional and maximize sales, you will need your own domain, and not www.somecompany.com/withdistractingadvertising/yougetwhatyoupayfor. Tip: Even with the big ISPs, free hosting is not an ideal for you. It's just not that effective to have a site called www.personal/internetserviceprovider.com/home.html. You can purchase a domain name to match the title of your ebook or the name of your business easily through any number of services. This should not cost you more than $20 per year, so don't pay more than that. Some fee-based web-site hosts will register your domain name for you as part of their pricing. To get your own domain name to show up when you use your ISP or other free web host, you can purchase forwarding services which will redirect users to your free web host when the user types in your domain name. These can run $10 to $50 per year. Not worth it. You'll be paying for service, yet still getting the annoying advertising and rules from the free host provider. Not the best of either world. I recommend paying for web hosting service. First of all, it's pretty cheap these days. You can get your own web page with tracking features for around $20 - $30 per month. You'll get enough space to store a library full of your own ebooks if you wish. And you can use your own domain name. And if and when you add more ebooks to your library, then you should consider using forwarding services as necessary so that you can direct traffic to your best ebook-selling site. Next, you'll want to get your page set up. You can hire this out - there are literally thousands of web designers out there - you'll pay $150 for help with a page or two and up to $5,000 for a complicated set of pages with storefront and graphics. Finding a web designer online is much of the same old same old. Do an Internet search, or ask one of your technical friends for recommendations. Use the home-page designing software provided by your web host, or just pay the web host's fee-based designers. What I recommend is that you tap into your ebook cover artist. Remember how I said you should develop a relationship? Once you get to that point, you can get some additional advice and help from them. Ask if they also do web page design or if they can refer you to someone good. Note: Novice web designers use software such as MS Word or FrontPage. Experienced web designers may use Macromedia Fireworks with Dreamweaver or other package. Definitely outsource your web page design, at least for your first ebook. This is worth the money, in the same way that hiring a ghostwriter and cover artist is worth the money. After you outsource your first web page, and some time down the road when you have more time on your hands, you could learn a bit about web design. Then you can copy the page you had designed professionally and use it as a template to self-design additional pages for new ebooks that you create. There are two common ebook formats, EXE and PDF. These formats refer to the type of electronic file your ebook will be. One type has .exe after the filename, and the other has .pdf after the filename. If your ghostwriter already put your ebook into one of these formats, then you are all set. If your ebook was delivered in a word processing file, then you'll need to convert it to either EXE or PDF. You can buy software that will make an .exe file, or you can purchase or use free software to convert the text to a .pdf file. I recommend the .pdf approach for several reasons. First, of the two options, .pdf results in a smaller file. This will allow buyers to have a faster download of your book. Secondly, .pdf files can be read easily with free software on either a PC or a Mac. Thirdly, .pdf conversion software is not terribly expensive and there are even free versions you can use. Most of the free versions work really well if all your ebook contains is text. However, the free converters tend to contain popup advertising. One free, ad-free, basic converter is the create Adobe pdf online service directly from Adobe, the father of .pdf generators and readers. There are others you can find by web search. For a modest fee in the $20 range, you can have advertising eliminated from some of the free .pdf conversion services and programs. To me, it's worth it. But if you don't mind one or two pop-ups each time you convert a file to .pdf, you can save a few bucks by using free services. To be able to convert every bell and whistle in your ebook to .pdf, you can purchase Adobe's program to do so at a cost of over $200. This may be necessary if your ebook is unusual, containing animated film clips or other technically unusual features. Free or cheap converters will convert your text. Basically, your .pdf file will end up looking like what your printed pages would look like. Converters abound, and therefore you can use free or buy a converter that will only do what you need for a fraction of the $200 you would pay to get every bell and whistle. Some ebook authors prefer the .exe file because it can provide additional flexibility, nice graphic conversion, and other features. Most .exe converters or services cost a bit, and honestly, you probably won't need those features. First of all, most ebook readers just want to read your book and are not terribly impressed with extraneous details that would not be presented in a paper book, with the exception of hyperlinks. Secondly, .exe files are only viewable on PC's, so right off the bat, you lose potential Mac customers. You can, of course, put your ebook on the web as a MS Word file. This makes for a cumbersome download and then your customer will need to have a similar program to read your book. Some word processing files can be compressed for quicker downloads by using programs such as the free one at www.beowurks.com. But that still doesn't solve the problem of your readers needing MS Word or similar purchased software to read your book. You can put your ebook on the web in .html format so that it can be read just like a web page. Some word processing programs have html converters that you can try. To me, this is going to extra trouble that you just don’t need. Take the simpler road - .pdf. By and large, your ebook buyers will want to pay by credit card. After all, the benefit of ebooks is that they are terribly easy to get. Just type in your credit card number and in a few moments you're reading through a great book! You should also provide a mail box where visitors can send a check for your ebook, but this is only to show them that you have an address. It adds to your credibility, but don't expect many orders, if any, through this channel. In fact, if you only provide a postal mail box address and do not provide your customers with the ability to click and pay by credit card, you can expect to lose 95 percent of your buyers. However, put the address on the site, and do process orders that come in that way. Use a box that is not your personal residence for reasons of personal security. Services abound that will accept credit card payments and send you the money. A common one is http://www.paypal.com. Paypal and most other services charge an upfront fee and percentage, but the charges are reasonable. Get set up immediately. You want your customers to buy immediately. A few other online credit card services are listed in the last chapter. You'll want to upload all relevant ebook information onto your web page, including your ebook cover art, the ebook itself, a link to order and pay for your ebook, and your sales letter. To upload from your computer to the World Wide Web, you'll need an FTP program. Most web host services will provide you with the software required to do this and provide clear instructions. If your service doesn't provide you with FTP help, you can purchase or use a free FTP program such as the one at www.ipswitch.com. Software that web designers tend to use generally comes with FTP capability. The web page for your ebook should contain a sales letter that is immediately visible. In fact, your web page really doesn't need to contain much else, unless you choose to use additional pages for other uses. Here are the components of a great sales letter. 2. a list of amazing benefits for the reader. Tell visitors what problems your ebook solves or how it will improve their lives. 3. testimonials. Quotes from people who have read the book or from people who know you and are willing to write something great about you for your site. 5. a link to a sample chapter. 6. a link to purchase the ebook. 7. the price. Going rates are $5.95 to $19.95. 8. about four pages in length. 9. a narrow page with wide margins for easy reading. 10. dark text on a white or light-colored background, for easy reading. Tip: Get testimonials early in the game by offering your ebook free to those who will in exchange, give you a one or two sentence testimonial. Here's an example sales letter. You can use this as a template for copy on your web page. Feel free to change the colors, fonts, and content (obviously use your own title and other information). Add your own cover art where the sample is, or put the cover art icon elsewhere close to the top of the page. Note in the example the use of quotation marks, capital letters, italic text, and colored text draws your attention. The very first line should be your ebook title. Also, notice that in the sample, the "click here to purchase" is repeated in different places. I used to work up to 60 hours a week at a well-paying white collar job. The money was good, my wife drove a nice SUV and my kids had the latest toys. There was one problem. I was not happy. So I decided to do something drastic. Instead of selling my services to my employer for a paycheck and dark circles under my eyes, I decided to sell my services to people over the Internet. I would be my own boss, work from home, and see if I could make a living. What I discovered is that I could do more than just make a living. I could change my life entirely. And I want to share my experience and secrets with you. So I've compiled the most important things you would need to know to do what I did into a short, readable, ebook. 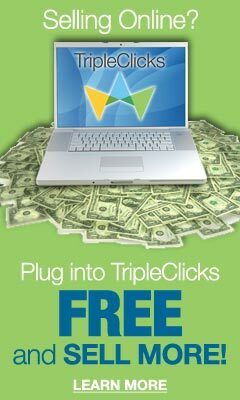 This information will save you ... hundreds of dollars since I have included links to lots of free resources you can use to get started including the best free web host providers, the best free software programs, the best free marketing techniques, and the best places to get free help when you need it. This book will save you ... hours and hours of time, since I've done the research. All you have to do is click and download the free tools, and you're set! This book could ... change your life. Once you get your Internet business up and running, you'll have time to spend with your family, time to join the fishing club, time to make peace with yourself, time to laugh with friends, or time to start more Internet businesses! And you'll still be able to pay your mortgage. There is no miracle path to instant riches on the Internet, but if you get good advice, roll up your sleeves and give it a determined try, YOU can do this! If you are not satisfied entirely, I will refund your money at any time ever, no questions asked. This book is worth over $500, because that is the MINIMUM it will save you on the costs of starting your Internet business. You need to know these secrets! The price is only $12.95. I can do this because I sell a lot of these while running my other Internet business. Click here to order. Once your credit card is accepted, the complete ebook will be emailed to the address of your choice. There is nothing more to buy. No hidden agendas. No links to affiliates. Just me sharing my knowledge with you. What do you have to lose? There's a 100% guarantee or your money back! Try it today. And when your life takes a major upswing, write me and tell me how the system's working for you! P.S. Check out what readers are saying about this book! You, Thanks for your incredible Ebook. I plan to buy copies for all my friends for Christmas this year! Wow, I was really skeptical, but with your book in hand I was able to navigate myself into a great, booming, Internet business for myself. Good-bye Monday morning traffic, hello mailbox money! I can't thank you enough! To say I've been enlightened would be an understatement. I am no longer overwhelmed or intimidated by the Internet. I've tapped into the great free services you've recommended, and I now have a business presence on the web. I've got marketing strategies in the works, and I'm just about to quit my day job. It's been easy to overcome what I thought would be much more difficult hurdles. My appreciation for inspiring and teaching through your book on how to do this. You, Thank you from the bottom of my heart. In addition, there are other techniques you can use to make money with your ebook. One thing you can do is give your ebook away free, and at the same time provide a link to a fee-based product or service in your ebook. The thing about free ebooks is that there are web sites where you can place free ebooks. It costs nothing or close to nothing to list your ebook, and because people always love to get something free, the sites generally have web traffic. On your own web page, you could also offer your ebook as a free bonus when a visitor buys some other product, service, or ebook from your web site. I'm not a fan of affiliate links, but if you have one or two you feel you want to include, then some have been known to make a buck or two this way. This is sometimes called viral marketing. Get your ebook listed in online bookstores. The fee may be worth it to make many more potential readers aware of your book. Here are a few more shameless promotion techniques you can use. · Add a link to your ebook web site at the bottom of every email you send for any reason. · Submit your ebook web page to the major search engines. Your hosting service may be able to help you with this, you can purchase Internet marketing software to automatically submit your information to a list of search engines, or you can go to each of your favorite search engines and submit the site yourself. · Pay for clicks from pay-per-click search engines, so people will more readily see your ebook. In this way, you buy traffic to your site. · Buy ad space in e-zines or newsletters that are reaching your target readers. 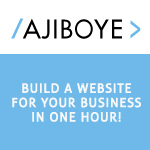 · Create a monthly newsletter, and tout your book in it every month. · As you build your library, provide links to your other ebooks in each of your ebooks. · Use your ebook as a business card. Send it to organizations or businesses where you'd like to be hired as a speaker or teacher. Why worry so much about marketing? Well, mainly because you want customers to know your ebook 1) exists and 2) is worth their money and time. The long and short of it is that you want to understand the market for your ebook. You will know the general market when you choose the topic, especially if you chose a topic because of its target market discussed in Chapter 1 of this ebook. If you spend time getting to know your market, then you will be even better poised to market your work. For example, you want to make sure you are targeting a group that has money to spend. You also want a group that browses the Internet and that likes to get current information, i.e. he wants to learn how something is affecting him today, not how someone did something in the 1980's. Ebooks offer this freshness. Get to know your market by getting involved in online discussions, talking to people, and looking at demographics or statistics. Most services that provide information about how to reach people of certain income levels and such require subscriptions in a price range that is only affordable by large corporations. But you can freely access any of the U.S. government's public information. And you may want to do that. At the bookstand, check out magazines and newspapers related to the topic to understand your market. Be sure to note who is advertising in the magazines. Some web sites offer information to their advertisers about readership and median incomes. Especially magazine's web sites. Marketing precisely to your target market is everything when it comes to selling ebooks. This is the part of this ebook that makes it worth all you paid for it and about a thousand dollars more - web resources and links that I've compiled in all of my research and experience. For the most part, the items listed in this chapter have been discussed or mentioned in previous chapters. In some cases, I've listed web sites here just for your information, so you can see how a site is laid out or see just how many vendors are available. Where a site is recommended, I'll say so. Whether I recommend a site or not, I would like to let you know that I am in no way affiliated with these companies or individuals. I will not be making money if you visit these sites, and they have not paid for advertising in this ebook. (This ebook is for you, and there are no strings attached.) Therefore, as you bounce around the Internet, check references where necessary, and feel free to use other services that you may have discovered along the way. www.elance.com - As discussed at length in Chapter 1, this site has a large bank, or database, of ghostwriters looking for work. You can place an ad here and wait for offers to come in. www.guru.com - Like Elance only bigger by almost a factor of ten, Guru also has a database of ghostwriters looking for work. www.truetalentmedia.com - This is a writing service I myself have used. www.allfreelance.com - This site contains a catalog of writers too that are available to ghostwrite ebooks (beware popups). I do not recommend for or against using any of these services. I'm providing you with this list of ghostwriter web sites, so you'll know that there are plenty out there. These would come in handy if you ever decide to call upon individual ghostwriters and have them offer competitive bids for your jobs. Although online communication is not exactly face-to-face contact, you will be closer to knowing the actual writers if you go directly to their sites rather than get into the database pools. Except where noted, most of these provide nonfiction ebook ghostwriting services. www.pegr.com - This site is only relevant for fiction ebooks. Although my recommendation is to hire a cover art designer, if the artwork used as an example in this ebook is good enough for you, then you're welcome to grab a template and create ebook cover art just like it for your project. Here are places to get free templates. After you try your hand, you may understand more clearly why a professional designer is a superior resource. www.marketbymouse.com/ebooks/ebook_templates.php - This site has free, basic ebook cover templates you can copy and add title text to. www.freeebookcovers.homestead.com/covers1.html - Here you can also find free, simple ebook cover templates you can copy and add title text to. Template designer requests a web link in lieu of compensation. www.onlinewebcreations.com/ebooks.html - Like the other template sites, this one sports free ebook cover templates. The template designer requests a web link in lieu of compensation. Here are a couple of sites that actually specialize almost exclusively in designing cover art. However, remember, my recommended approach is to visit ebook web sites and query about good covers you see there. www.irfanview.com - Because it's free, I thought it worthy of mention. This program is not specifically for ebook covers, but it contains all the tools you would need to custom-design your own cover. And it doesn't cost a thing. Although I recommend outsourcing to get custom designs, here are a couple ebook-cover-design programs available for purchase. Use a third party payment processor that has a recognizable name or is a large, popular organization. This will make potential customers feel secure and therefore more likely to give their credit card numbers in exchange for your ebook. Here are a few. Here's a place where you can hook up with other people who are in the ebook business. You an ask questions, help others, or just lurk. It's an immutable fact that there will always be negativity and spam on public message boards. Especially because the ebook business is heavy in Internet marketing, you may have to sift through advertising posted by other participants from time to time. But you could also learn a lot, and also enjoy cyber socializing with people doing what you're doing. I don't recommend ebook resales at all. But to give you a couple examples of what I discussed in a previous chapter of this ebook, here are a couple resale sites. Use the sales letter in a previous chapter of this ebook as a starting point for your ebook sales letter. Other ebook sales letters are all over the web; here are a couple of them. http://www.jeremyburns.com/a/hosting - This is a one stop shop for web space providers. There are myriad of web host providers ready to provide you with web space in return for their free advertising on your site. The Internet is loaded with providers. Check the Free Site to get a current partial list. Your ISP - You may already be paying for web space that you haven't used with your Internet Service Provider (ISP). The web space there should be relatively ad-free. Whoever provides your Internet - MSN, AOL, EarthLink, etc. - contact them directly. Your service contract will also tell you if web space is provided as part of your monthly subscription. It probably is. https://createpdf.adobe.com/index.pl/2323321943.19516?BP=IE - Since Adobe created the .pdf file, you might as well use their free converter. There are others you can find by a Google search for "PDF converter," of course, but Adobe is as good as any. www.ipswitch.com - If FTP service does not come with your web hosting service, here's a free program you can use. Your ISP - If your ISP provides you with web space, they probably also provide you with the FTP program you'll need to upload files to your page. Things change quickly on the web, so if any of these links don't work at some times, just move on and try another from the list. The sites listed below also list free ebooks, but they also list software programs or other items. You may need to navigate to the proper area to list your ebook. Also, as with the strictly-free-ebook sites, these may change as the web evolves in daily fashion. Whew! I hope you've enjoyed learning about outsourcing your ebook. When you outsource your ebook, you will be investing a little money, but saving a bundle in time, and you can get all your investment back and more. And just think - your hardest task was coming up with what your book would be about! The rest can be outsourced or done in rapid fashion by following the advice and tips in this ebook. I'm glad you are interested in getting on the ebook bandwagon! I've enjoyed my experience with creating and selling ebooks on the Internet, although I have to admit I stumbled and made some glorious mistakes early on in my learning curve. Your journey will be smoother than mine. However, if you encounter a few bumps on the road, dust off and get back in the game. The market is out there. If you're resourceful and keep at it, you can have a lot of fun, meet interesting people, make money, and be proud of your work!